FNB Connect was awarded the most innovative MVNO at the 15th Annual World MVNO Congress. Just shy of a year since the launch of FNB Connect, the bank says it has already attracted more than 200 000 active subscribers. 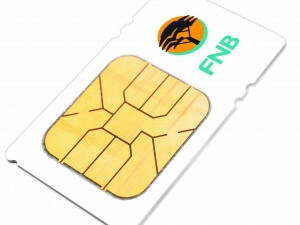 In June last year, FNB became the first bank in the country to launch a mobile offering, entering SA's competitive telecoms market as the newest mobile virtual network operator (MVNO). According to an FNB statement, the mobile offering was recently awarded the most innovative MVNO at this year's 15th Annual World MVNO Congress. Shadrack Palmer, chief commercial officer of FNB Connect, says: "FNB Connect has more than 200 000 active subscriptions, all of whom are enjoying the added benefit of zero data charges for accessing any of the electronic banking platforms, such as online banking, FNB app, cellphone banking and eWallet. This is in line with FNB's strategy to migrate more customers towards digital banking." The FNB statement further notes that customers' ability to manage their mobile spend on FNB's electronic banking platforms is proving invaluable in providing customers with transparency and control over their mobile spend. "We are extremely excited with the growth of FNB Connect and are looking forward to announcing more innovative services which bring convenience to our customers," says Palmer. In 2015, FNB noted it had about 7.4 million customers. Two million customers use the bank's digital channels to top-up either airtime or electricity each month.